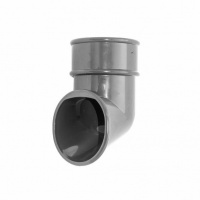 FloPlast Anthracite Grey Round Downpipe Branch - 112.5 Degree. 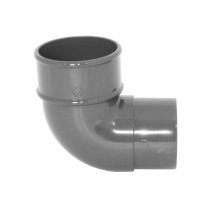 New from FloPlast their Anthracite Grey Round Downpipe system. This is part of a high quality, easy to install system which is all covered by a 10 year guarantee. 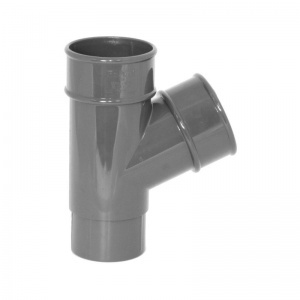 This FloPlast downpipe fitting suits pipe which measures 68mm in diametre. Please note: This is FloPlast's interpretation of Anthracite Grey. The closest RAL number to this colour is RAL7024 (Graphite grey) A slight difference between this and RAL 7016 (Anthracite grey) can be seen when compared together at close quaters but when installed any difference is hard to see. 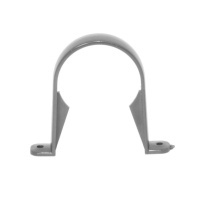 This products is also available in the standard colours of Black, White, Brown and Light Grey. 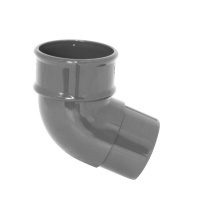 finally found anthracite coloured down pipes and fittings - delivered fast as well too! © 2005-2017 One Stop Ltd.